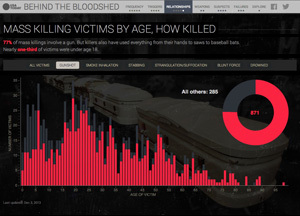 USA Today investigative report on mass killings in the United States. Areas of relatively high poverty where there are limited school choice options. 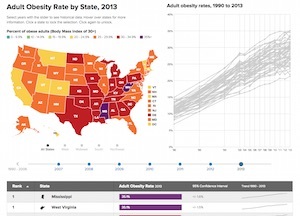 Adult obesity rates by state, 2006–2016. 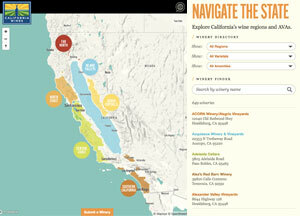 Interactive maps of wineries and growing regions. 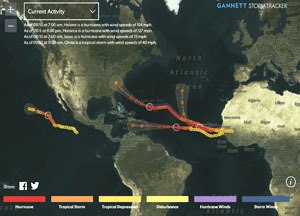 Track storm activity with up-to-the-minute weather data. 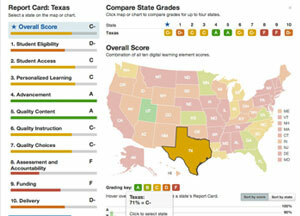 Digital Learning's report card grades each state's education policies. 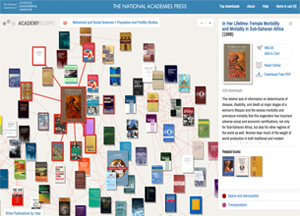 The National Academies Press visualization of available reports. Extruded county-by-county election results from the 2016 election. 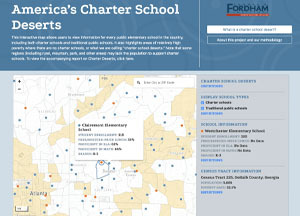 The Center for American Progress and EdBuild look at income segregation in school districts. 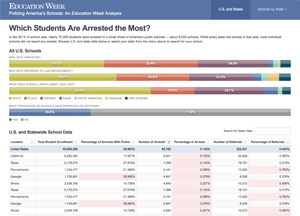 Education Week analysis of referrals and arrests in U.S. schools. I work at the intersection of data, design and front-end dev, applying years of experience to create narratives that tell a compelling story. I have collaborated with some inspiring clients to create data visualization apps for desktop, tablet and mobile. 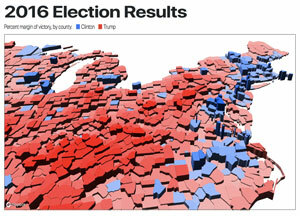 I also teach interactive information design in the School of Visual Communication at Ohio University. Let’s talk about your next data visualization project.